Over at Scraptivity they are hosting a Tim Holtz challenge, so for this layout I pulled out some Tim Holtz Grunge Board and used it for the title. I really like the way the grunge board holds colour as opposed to chipboard. I'd forgotten about how great grunge board is to use. 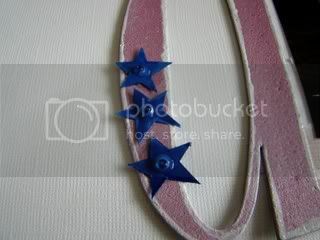 I added some glossy accents to the stars for a little extra shine. 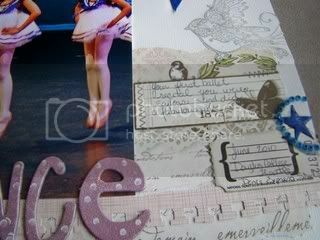 The patterned paper is from Scraptivity's March 2010 Kit. 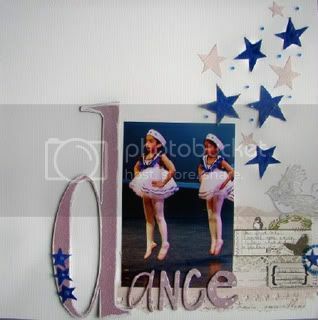 Just some action pics of the girls during their ballet recital. Awh...what cute little sailor outfits. Love it!